A cornered rat has a deadly bite, or so says the lore from the 19th century, when rat baiting was common sport. The same is true of a cornered empire today. Every hour that goes by presents the evidence. It’s getting absolutely dangerous out there for anyone who dares to stand up against the empire and for basic human rights, which is to say that it is dangerous to corner the rat. Recall the NSA’s Edward Snowden blockbuster revelations that the U.S. national security state has been data-mining all email, cell calls, chat and other communications and routinely investigates the results without any authority of law whatsoever. Seeing this all around him, Snowden came forward because he was disgusted by the practice, but also because the whole operation was taking place without any public knowledge, much less congressional approval. Now, you might think that this information would be a terrible embarrassment to the agencies involved, and to the president who is supposed to be overseeing them. You might think there would be a scramble to find a fall guy, and maybe even a pullback on the part of the bureaucracies themselves. Under normal conditions — where the law matters and government was actually accountable to the governed — exposure on this level might cause the bad guys to do damage control. But these are not normal conditions. The national security state is too well developed and too habituated to the perception of itself as the final ruler and the arbiter of all law. It believes itself to be above Congress, above any appointed official, and above the court system too, even the military court system. It is a government unto itself and it gets its way. Snowden had only behaved as a patriot should, but he then found himself on the run from the law, trying to find safe haven somewhere in the world where the U.S. did not have control. 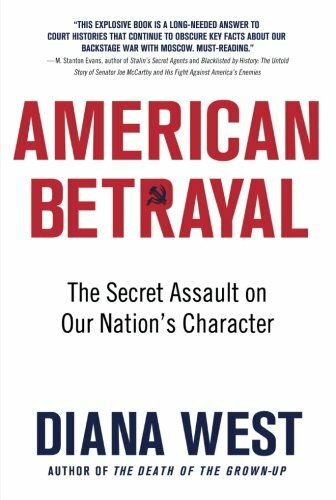 The safe haven he found was the old Cold War enemy of Russia — a deeply embarrassing reality for those of us who cheered the U.S. victory in the Cold War. But that was just the beginning. The national security state is out there right now trying to settle all family business, Godfather style, taking down anyone and everyone who might have assisted him in his deeds. The fate of the email provider Lavabit is an example. This is the small company, run out of a Dallas apartment by one Web developer and a few friends, that has provided encrypted email. It is widely believed that this is the service that Snowden used to communicate with reporters. Well, Lavabit was hit with an order from some agency within the state apparatus. It demanded access to all records and, most probably, a direct pipeline to the company’s own servers. In the past, Lavabit had complied with specific requests for information whenever it seemed reasonable. But this one was different. It was a demand for sweeping access. Lavabit took the principled stand and shut down its own thriving business rather than go along. This was a real act of courage. When an order like this comes from Homeland Security, it comes with a demand that the recipient not speak to anyone about the demand, on penalty of law. What about business partners? The order says no one. What about spouses? No one. What about attorneys? Again, no exceptions. You are laid bare and totally captured. It’s not different from jail. One wrong move and your life is over. “I could be arrested for this action,” Ladar Levison told NBC News. Indeed. In interviews, he chooses his words very carefully, fully aware that one misplaced bit of information would lead him out of compliance with the order from Homeland Security and cause him to spend untold amounts of time in prison. Just so we are clear here, this totally arbitrary attack occurred after the Snowden revelations, in seeming and shameless retribution. And it was not the only attack. An Internet service called Silent Circle, which specializes in private communications, saw the writing on the wall and pre-emptively shut down its email service. Now the company tells its customers that email is not and cannot be secure. It is focusing entirely on cell coverage and text messaging. These are just the two attacks we know about. Many other services that advertise secure email have most likely been approached. It wouldn’t be surprising if they failed to mention this to their subscribers. Again, this is the nature of the orders the government issues. They say comply immediately and tell no one, or else. Maybe you think you would do the principled thing and refuse, but anyone who believes that has not been on the receiving end of such demands. There are few things more terrifying in this world than to have the imperial spotlight suddenly hit your face. Continuing on with Homeland’s family business, a remarkable thing happened to Glenn Greenwald, the reporter who revealed Snowden’s NSA leaks. His domestic partner, who is not even a reporter, was arbitrarily detained at Britain’s Heathrow Airport on route from Germany to Brazil. The authorities took his computer, files, and even his cellphone, so that he couldn’t even communicate with those who were expecting to meet him at the airport. He was detained without explanation for a full nine hours, which is the maximum that British law allows. The purpose of the law, of course, is to stop terrorism, but here we see how it is really used. It is used in an attempt to intimidate someone close to a journalist who leaked the Snowden stories — a clear aping of old mob tactics of going after loved ones. The beauty here was that the secret of his detention came out super fast. Greenwald himself wrote a blog post for The Guardian, and within minutes, the story was all over the Internet and world press. Indeed, the next day, The New York Times featured a detail report about the detention. It was yet another black eye on the national security state, and more indication that it is on the fast track toward being enemy No. 1. This kind of behavior seems counterproductive in every way. No private-sector business that was caught bilking its customers would respond by ramping up the rip-off. Not even politicians can get away with this sort of thing. But the FBI, the NSA, and Homeland Security believe that they are invulnerable and don’t have to obey anything or anyone, and especially not public opinion. At the same time, they want to operate in secret. What they do not understand is that in a world of freely flowing information, nothing they do is a secret anymore. There’s no turning back: What the NSA and Homeland have done to citizens of the world, people are now doing to NSA and Homeland. The rat is cornered. The empire is panicked and behaving exactly as we might expect, complete with nasty hissing and biting and victims all around. But this is not a sign of its strength. It is a sign of its desperation to preserve its power and privilege in world that is moving beyond these search-and-destroy tactics. The national security state has its data-mining centers, but the institution called the Internet is working daily to bring accountability to their egregious tactics.